Would I ever vote for Donald Trump? I’ve been critical of Trump’s positions on foreign trade, immigration policy and eminent domain. I think he’s an extremely risky candidate for any supporter of small government. But I’ve been much more critical of Hillary Clinton: she is a statist through and through, and she so often finds herself in close proximity to corruption and some other highly suspicious circumstances. I consider myself a libertarian, and I like Gary Johnson. Unfortunately, Johnson has disappointed me with his selection of Bill Weld as a running mate, his goofs on foreign policy and his often poor presentation of libertarian principles. FBI Director James Comey has again concluded that there was no intent on Clinton’s part to violate national security with her private email server, but he also concluded that she was reckless in conducting sensitive government business, including the transmission of classified information, on that server. Unfortunately, Comey limited his investigation to the period during which she was Secretary of State. 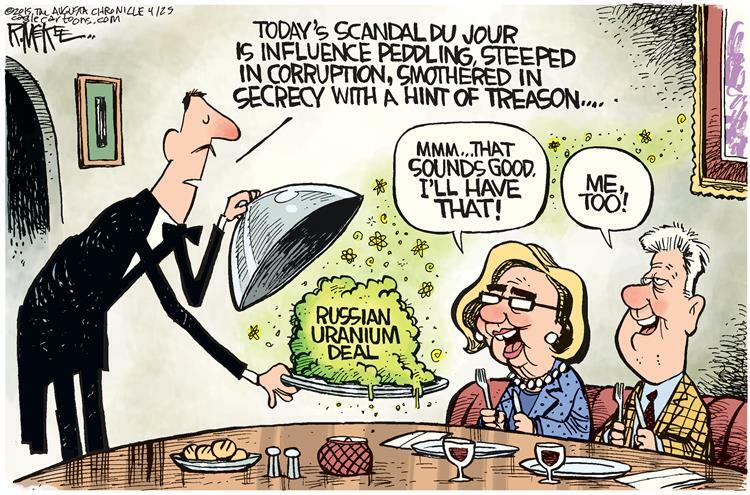 The server, however, was put in place before she was confirmed by Congress. The question of intent makes that time period relevant, but Comey ignored it. She broke the law concerning the handling of classified documents, there is no question about that. No less than five of Clinton’s aides took the Fifth Amendment to avoid prosecution. Evidently, Mr. Comey has been under pressure from a highly-politicized Justice Department. There are other investigations underway at the FBI and by Congress involving the Clintons, however. The deluge of information via Wikileaks over the past month reflects horribly on the Clintons. I don’t care whether the leaks came from government sources, the Russians, or from other foreign actors. No one has challenged the authenticity of these leaks. Again, Hillary Clinton compromised national security by conducting her duties as Secretary of State on a private computer server. That’s what got her into the email mess. Now, we’ve learned that she gave her housekeeper access to her computer to print documents! At least five foreign intelligence services hacked into that server. Clinton also obstructed justice on the matter by destroying evidence and perjuring herself before Congress. The Clintons also have had strong ties to individuals with criminal histories, such as the notorious child predator Jeffrey Epstein. And Hillary Clinton’s reputation for contemptuous behavior toward others was so strong that State Department security personnel requested reassignment. It’s been reported that members of her Secret Service detail called her plane “Broomstick One“. A Hillary Clinton victory in the president election will not end the investigations. Congressional leaders such as Jason Chaffetz and Trey Gowdy have vowed to press on aggressively, given that Clinton lied before their committees and to the American people about the existence of classified emails on her server. Impeachment by the House might occur, though Clinton’s offenses have occurred prior to her term in office, and the Senate would never attain the two-thirds majority necessary to convict. It is possible that the FBI investigation into the Clinton Foundation will be damaging, but it is unlikely to bring an indictment. The DOJ under Clinton would be headed by Loretta Lynch or some other Hillary/Obama sycophant. There will be no DOJ indictment or special prosecutor as long as the Attorney General reports to the criminal herself. (The FBI cannot indict; it can only recommend indictment.) There would hardly be a real opportunity to render justice to Hillary at the federal level. A local jurisdiction could bring an indictment for criminal activity. The Anthony Weiner laptop investigation by the NYPD could be troublesome for Clinton, depending on the extent to which any Clinton dealings with Jeffrey Epstein were recorded there. There remains only one sure constitutional remedy for Hillary Clinton’s corruption: Tuesday’s election. Preventing her from taking office must be priority one. Hillary Clinton’s days of insider dealing would then be over, as would the politicized government created by Barack Obama, who was just recorded encouraging illegal aliens to vote! But Gary Johnson obviously won’t beat Clinton… the only real option is Donald Trump. Yes, Trump is risky, and I’ll have plenty to criticize on my blog if he takes office. He is plainspoken but sometimes crude and offensive. Naturally, that “style” is especially offensive to the tender snowflakes who cling to identity politics, but I do not believe Trump is a racist. It’s true, I don’t know exactly what we’d get with Trump. I suspect he has some statist tendencies of his own, but I prefer that risk to the corruption and certain statism of Hillary Clinton. So I must vote for Donald Trump. Putting Hillary Clinton in the White House would compromise our system of government. She is an accomplished grafter and cronyist, expert at leveraging her position of power for personal enrichment, and she is prone to taking retribution against enemies. The IRS, the DOJ and other agencies have already become partisan organizations under Obama. And as I mentioned earlier, Clinton is a statist who desires centralized power. That is always dangerous. Read this excellent essay: “The Case Against Hillary Clinton“, by Lisa Schiffren of the Independent Women’s Forum. Here is a page with a number of past posts about Hillary Clinton on Sacred Cow Chips.